What is the difference between emission and reflection? I am trying to gain a clear and correct understanding of reflection and emission. So far, I understand in that in the case of reflection (same goes for refraction and transmission, scattering) the incident photons don't have the right energy to cause electronic transitions. However, the entire atom or molecule (electron cloud) starts oscillating emitting photons having the same frequency as the incident ones. This is elastic non-resonant scattering. Some theories talks about "virtual" energy states instead of real energy states. Reflection seems to be more "instantaneous" than emission. Can anyone clarify or add to these raw concepts? On the other hand, if the incoming photons have the right energy, they get absorbed and cause electrons to jump to higher energy states. At that point, in solids and liquids, electrons move back to lower energy states but do not radiate photons, i.e. the transition is non radiative and the absorbed energy gets converted into thermal energy. But isn't thermal energy infrared photons? So, in a sense, there is radiation being emitted during a non-radiative transition. The radiation is composed of infrared photons. This process is called resonant, dissipative scattering. 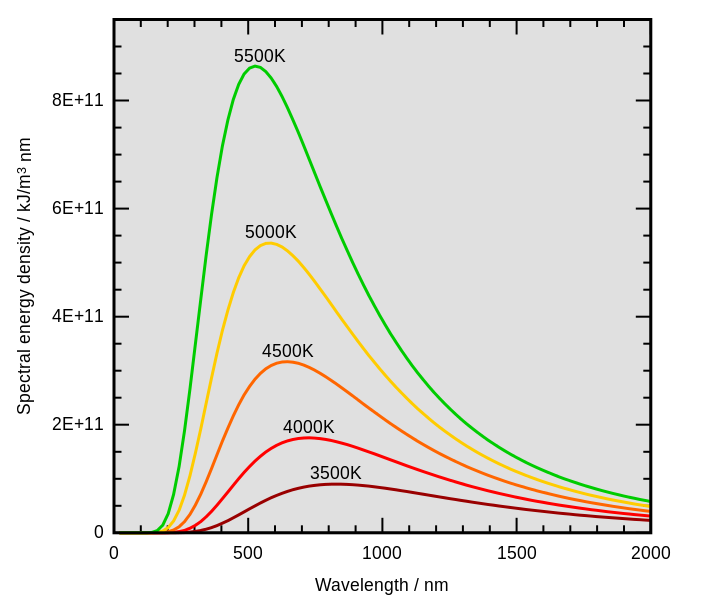 Only low density gas can emit photons of the same frequency as the incident ones (see line spectra) producing resonant non-dissipative scattering. Thermal energy is not just infrared. Cosmic Microwave Background is thermal radiation of about 2.7 Kelvin, with almost no infrared. I think this misconception came because at about room temperature most radiation energy is at infrared range. Hence it is used to detect heat source such as hot blooded living organism, especially in dark environment. i.e. the transition is non radiative and the absorbed energy gets converted into thermal energy. But isn't thermal energy infrared photons? Not necessarily immediately. Thermal energy can also be absorbed as kinetic energy of the atoms and molecules, and also rotation & vibration of the bonds of molecules. With additional interactions, some of this energy may get turned into infra-red photons, but its not the only way the energy can be absorbed and converted. Re: What is the difference between emission and reflection? thank you. I am still not completely clear. Every body having a nonzero temperature T emits radiation spread over several wavelengths (blackbody curve). The higher T the more the wavelength distributions shifts to lower wavelength. I get that, but I am still not clear why most thermometers measure the temperature of a body based on the radiation that the body emits in a narrow range in the infrared spectrum. For example, my Kintrex digital infrared thermometer with laser indicator is set to emissivity= 0.95 (almost a black body) and detection in the wavelength range 8-14 um. why that specific range? I know the human body radiation curve peaks at 10 micron. But most hot objects are hotter than the human body...What if two body had the same energy radiant energy concentration in that range but very different concentration outside that spectral range? Could we interpolate the rest of the blackbody curve and prove that they have the same T or not necessarily? Usually that kind of thermometer is limited up to 300 celcius, but depend on the model you use, which is stated in the user manual. Higher than that, the result is not accurate. The result also depends on the actual emissivity of the surface, compared to the value assumed by the device, which can be set manually.